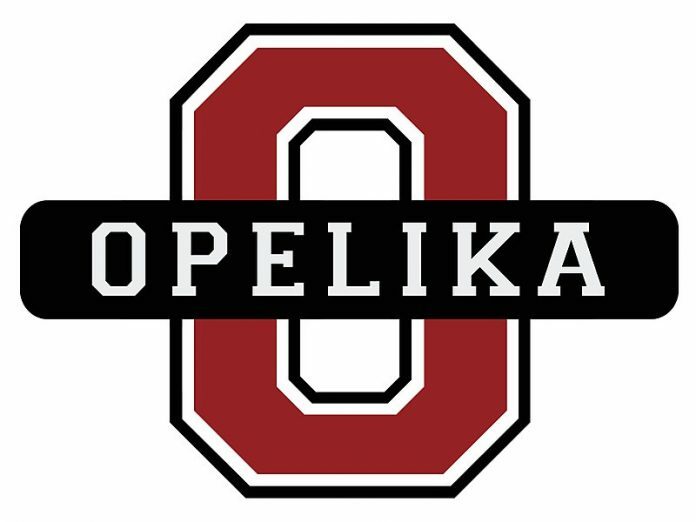 The Opelika Wrestling program will host Smiths Station and Enterprise Jan. 24 in the Mainstreet gym at OHS. The night is designated as “Pin Cancer Night,” as every Opelika student-athlete on the wrestling team will wrestle in honor of someone they know that was or has been affected by cancer. The middle school and varsity teams will participate. Admission is $7 for adults and $2 for students, with all of the student proceeds and half of the adult admission to be donated to the East Alabama Medical Center Cancer Foundation. The Bulldog grapplers defeated Russell County last week at Opelika. The OMS/JV wrestlers beat the Warriors behind the following wins: Nijah Durham, Logan Sheridan, Qua Edwards, Jabrian Harris and Brayden Wilson. The OHS varsity slipped by RCHS 35-34. The following wrestlers won matches: Heavy weight James Dawson pinned his opponent after 51 seconds; 106 pounds – Jackson Shoemakrt; Zeak Jones, 170 pounds – Cole Lazzari; 185 pounds – Timmy Tolbert; 195 pounds – Trint Vaughns and 220 pounds – Bevin Williams. Opelika improved to 11-15 overall in team duals. I will have the results of the “Bulldog Bash” in next week’s column. The Bulldog boys basketball team split a pair of games last week, beating Russell County and losing at Lafayette. Opelika earned its second area win, 62-44 over Russell County, last week at Opelika. Coach John Wadsworth continues to see several players scoring in double figures. Justin Love scored a game-high 17 points to lead the Bulldogs. Trey Boone scored 12 points and Jared Willis and Jaylin Cumins scored 10 points apiece. Lafayette hit four 3-point baskets in the final two minutes to slip by Opelika 79-75 in front of their home crowd. Boone scored 25 points to lead Opelika, followed by Willis and Taye Fields, who added 13 points apiece. Grady Bynum finished with 12 points. The Lady Bulldog basketball team (19-5) blew out Park Crossing 62-30 and Lafayette 63-31 last week. Claire Worth scored 19 points to lead the team and Ananda Hughley contributed 13 points. Kaitlyn Bryant and Hughley scored 14 points apiece in a 63-31 win over Lafayette. Worth added 11 points. The Lady Bulldogs continue to dominate local schools on their way to what appears to be another deep playoff run. The Opelika girls junior varsity team defeated Auburn 42-32 last week at Auburn. No scoring results were available. Both teams played at Benjamin Russell in Alexander City Tuesday night. The results were not available at press time. Opelika boys host Pelham in junior varsity and varsity Jan. 29 starting at 4 p.m. The girls and boys host Auburn Jan. 31 at the Sports Arena at OHS. Opelika Dixie Youth Baseball will begin online registration in the coming days. The league offers recreation baseball for children 7-12 years old. 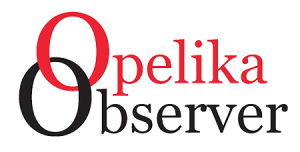 Opelika Dixie Boys Baseball (13-15 year olds) and T-Ball are under the Opelika Parks and Recreation department. Registration for Dixie Boys starts in April. Contact the Opelika Sportsplex for more info. If you are interested in local sports, listen to “On the Mark” weekdays 7-9 a.m. on WTLM 1520 AM, online at wtlmam.com, kickerfm.com and the iHeart radio application on your smartphone. Jeff Sasser and I host the show along with daily guest hosts, including Dan Washburn, Larry Gore, Derek Lee, James Cooper and Joe Wilson. The show is “guest driven” with local interviews each day. Follow local sports by reading and listening to On the Mark.